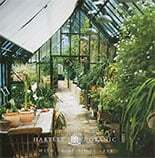 During a horticulture show, a keen gardener fell in love with the classical style Hartley Botanic Glasshouse. She even had a particular spot of her Henley in Arden garden in mind for it: an area on the right hand side that saw plenty of sun through the day. However, no sooner had the Hartley Victorian Villa been built than she realised how little she had actually considered how it would fit into the pleasantly landscaped garden. 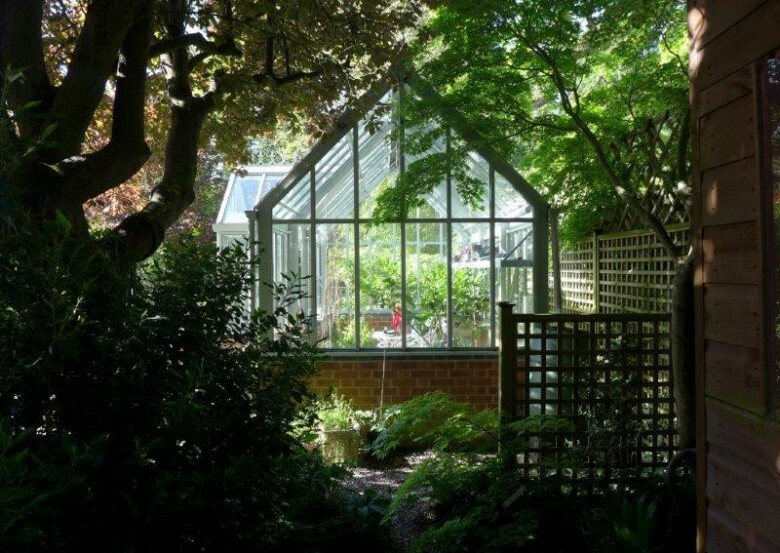 The glasshouse “stuck out like a sore thumb” and detracted from the simplicity of the original design. She contacted Malcolm Veitch and asked what he could do to fix the issue with her glasshouse. Veitch decided that in order to bring the glasshouse and garden back into balance, the whole garden would need to be redesigned. 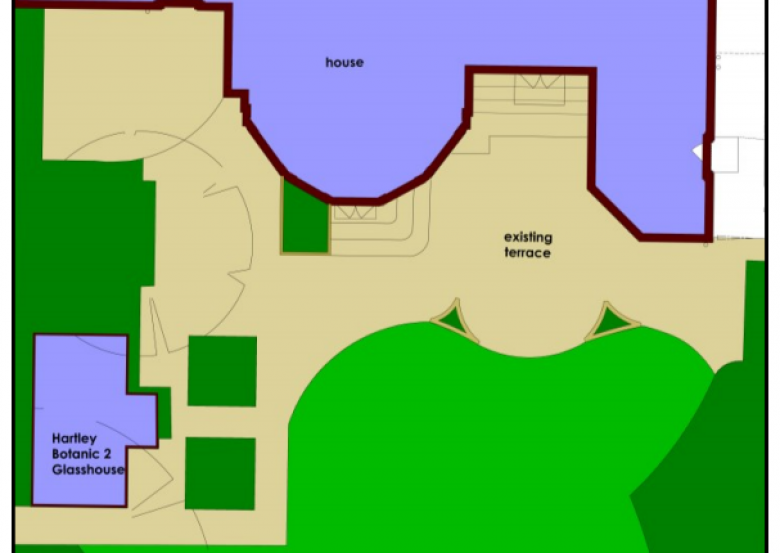 Veitch gave the Hartley Victorian Villa pride of place in the garden by creating a new circular terrace. 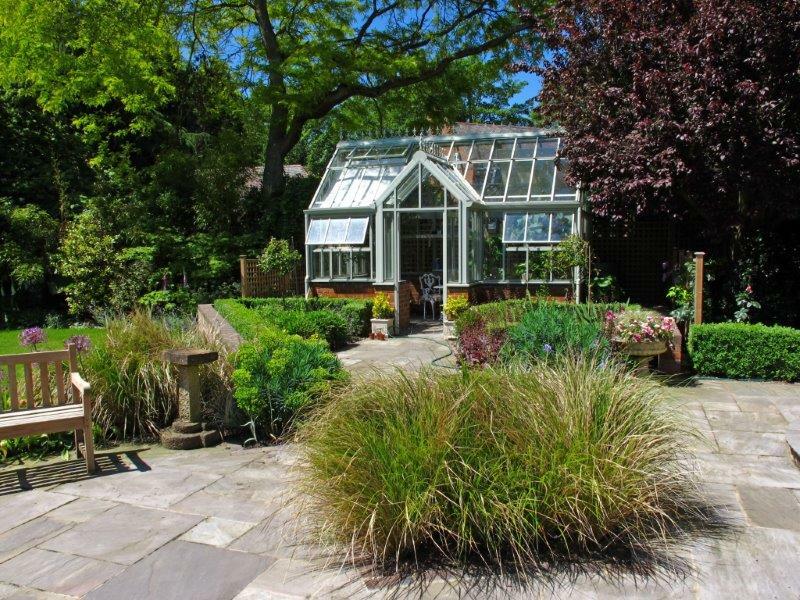 This incorporated the glasshouse with its own kitchen garden and overcame the problem of levels and styles, with walls, mature box hedging and trellis. Now the garden looks so much better for the classic glasshouse, no matter what angle you look at it. Thanks to the clever redesign, the Hartley glasshouse is now the stunning hub where this passionate gardener centres her green-thumbed work. However, no sooner had the Hartley Victorian Villa been built than she realised how little she had actually considered how it would fit into the pleasantly landscaped garden. 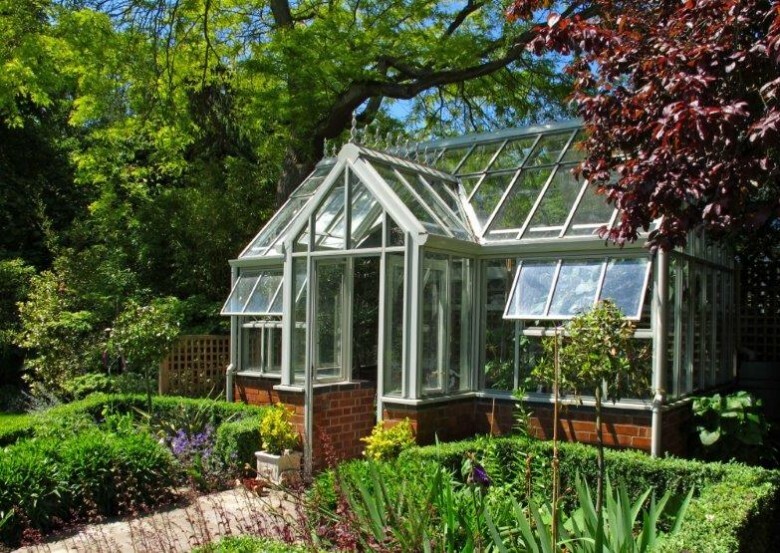 The glasshouse “stuck out like a sore thumb” and detracted from the simplicity of the original design. She contacted Malcolm Veitch and asked what he could do to fix the issue with her glasshouse. Veitch decided that in order to bring the glasshouse and garden back into balance, the whole garden would need to be redesigned. 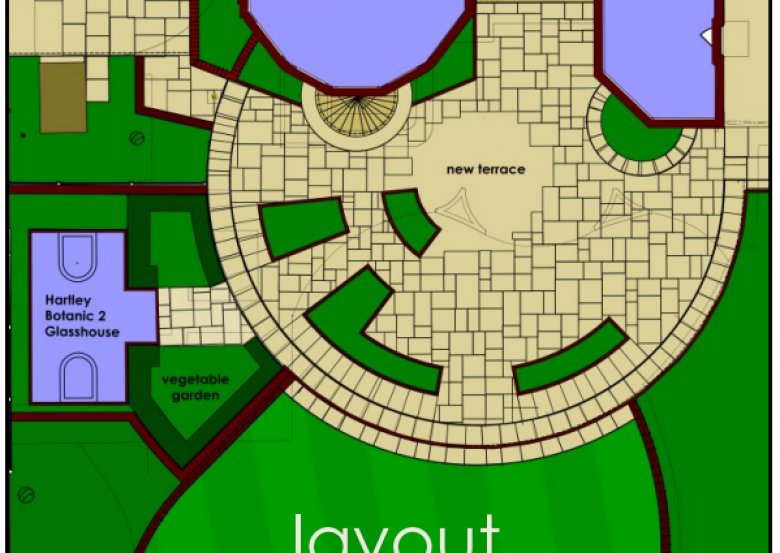 Veitch gave the Hartley Victorian Villa pride of place in the garden by creating a new circular terrace. 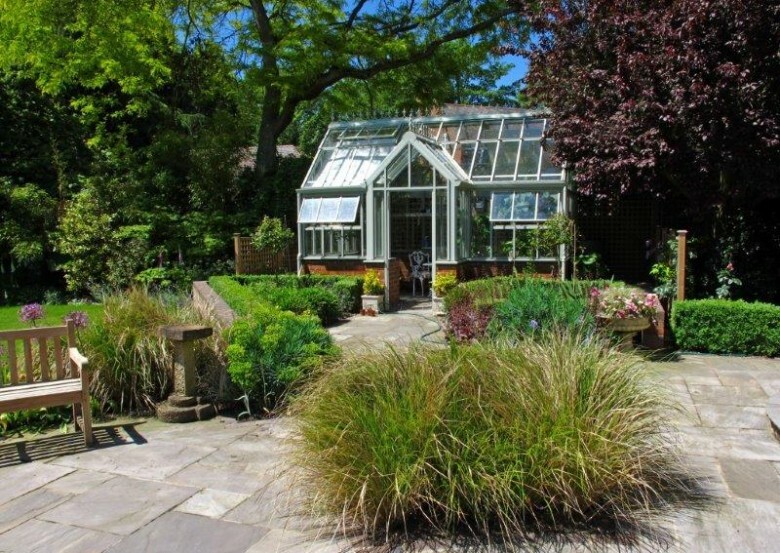 This incorporated the glasshouse with its own kitchen garden and overcame the problem of levels and styles, with walls, mature box hedging and trellis. Now the garden looks so much better for the classic glasshouse, no matter what angle you look at it.